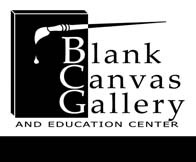 Blank Canvas Gallery and Education Center in Park Rapids, a nonprofit art organization, is offering a watercolor workshop with Minnesota artist, June Young, on June 7th, 8th and 9th. Class time each day is 9:00 AM to 4:00 PM at St. Peter’s Catholic Church, 305 5th Street W. in Park Rapids, MN. June Young is a well-known watercolorist from Minnesota and has many years experience as a workshop presenter. The focus of the workshop will be on learning June’s glazing technique to achieve luminosity in paintings. There will be lots of one-on- one help for each student. This class is geared towards beginners as well as more advanced artists. Previous postMinnesota State Arts Count: just one week left to be counted!